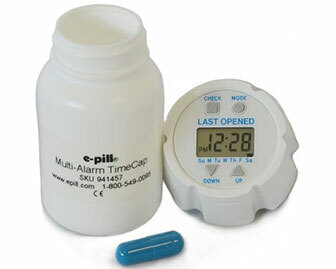 A cap that has an electric timer to alert someone when they opened the pill bottle last to take their medication. This helps to minimize medication errors such as double dosing and improves compliance. 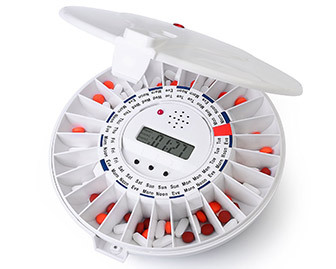 A medication organizer that rings to cue its user for dosage times. Great for people with some memory impairment or have difficulty understanding med packs. Only one slot opens at a time and presents the meds to be taken. 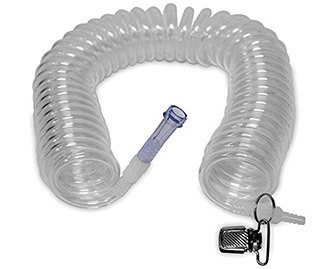 Retractable tubing for home oxygen therapy users. Meant to decrease falls resulting from trips on tubing normally sprawled across the floor. The tube’s natural tension pulls it into a compact spiral when not need, but can be stretched up to 15 feet. 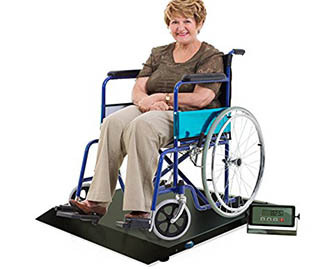 A platform that can be used to determine the weight of a wheelchair user. Simply measure the weight of the person with the wheelchair. Then transfer them to another surface and weigh the wheelchair alone. The difference between the two is the user’s mass. 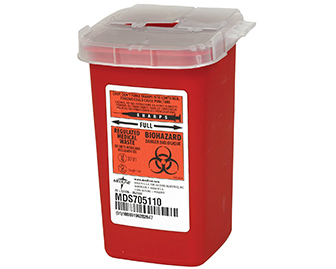 A highly colorful plastic container meant to store used needles for safe disposal. Great for people that are on a regular regime of injectable medication. This container minimizes the risk of accidentally pricking oneself or others. 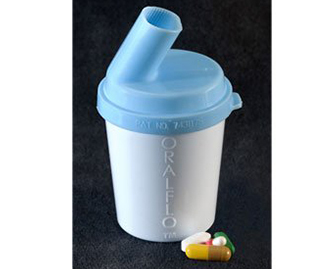 A cup that helps people with difficulty swallowing pills. Put the medications in the holder and drink from the cup. As the cup is tipped, the pills and liquids enters your mouth together to make swallowing more comfortable and easy.